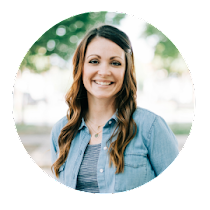 Are you looking for a fun Youth Group Activity? 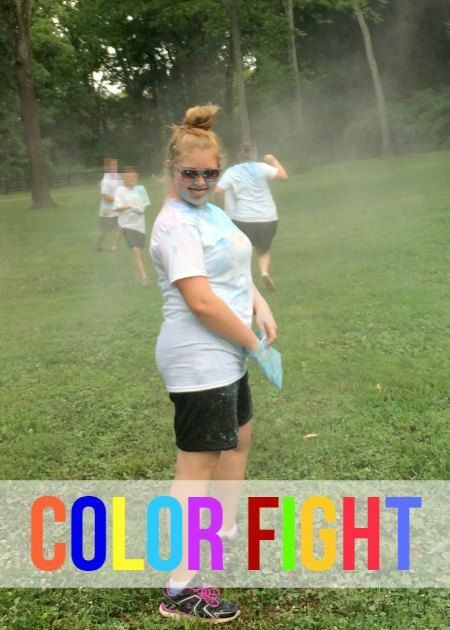 A Color Fight is so much fun! 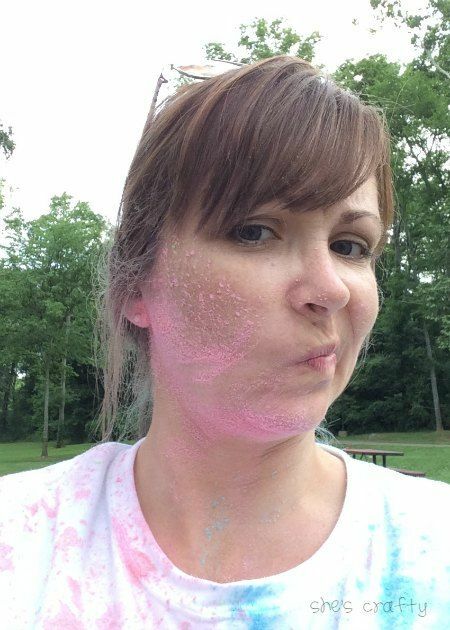 making a mess by throwing colored powder at each other! making the color fight powder was not easy. to consider purchasing it here. 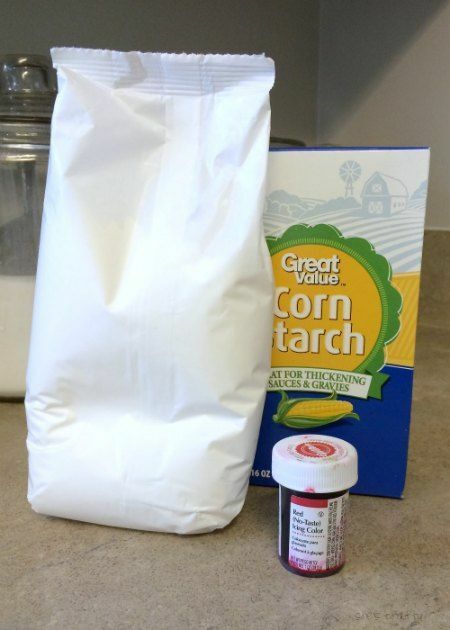 Put 16 oz box of cornstarch in stand mixer. Add full container of gel food color. Dribble in 1/2 cup of water. 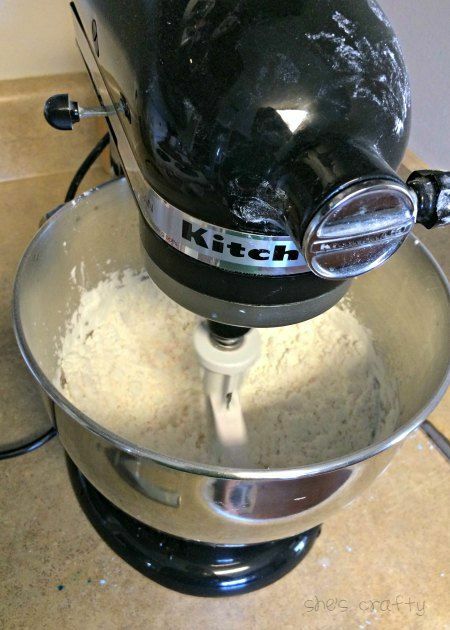 but keep mixing and it will break up. Continue to mix until it gets pebble like. Mine took about 8-10 minutes for each batch. 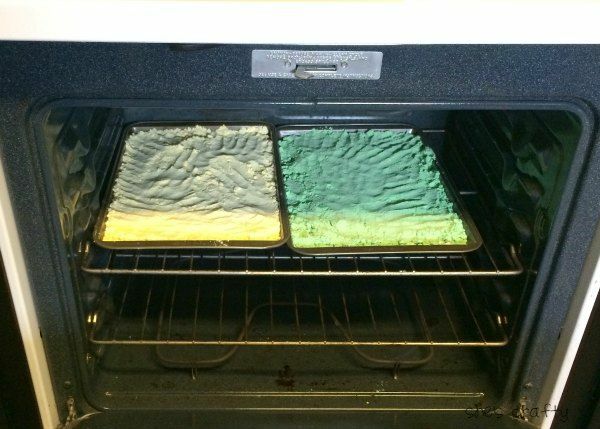 After mixing, pour the colored powder onto baking sheets. Bake at 250* for 20-25 minutes. Pull it out and let it cool. It will be hard and rock like. 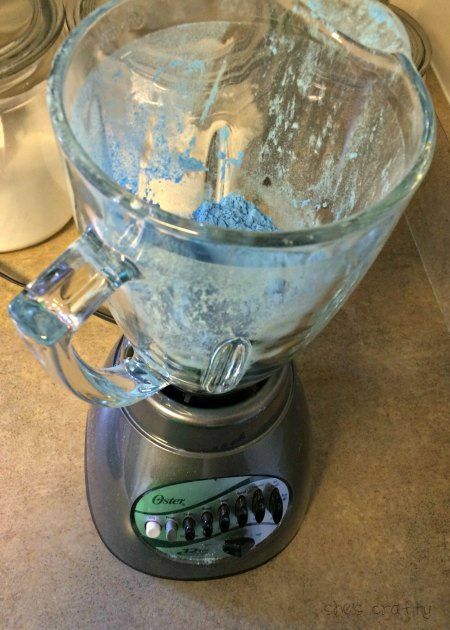 and blend it to fine powder. Then pour it into sandwich baggies. 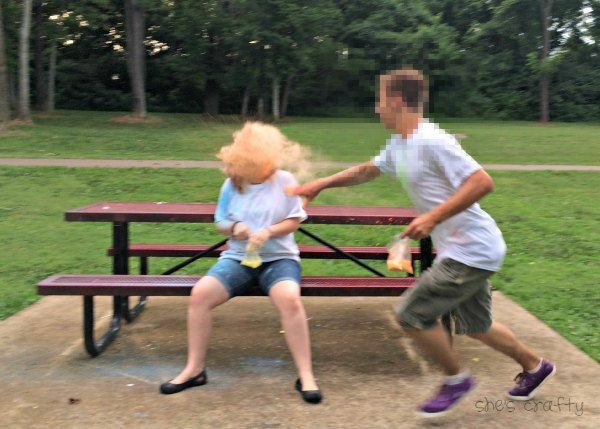 6 bags of colored powder. 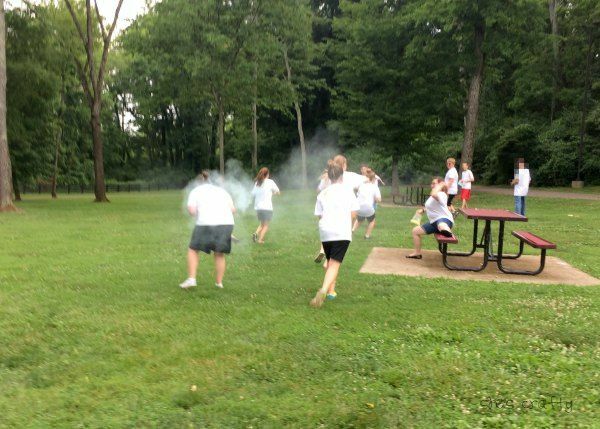 I purchased white Tshirts for the youth in our group to wear. We went to a park near our church for the activity. heard all around the park. I even got in on the action. It was a blast!! 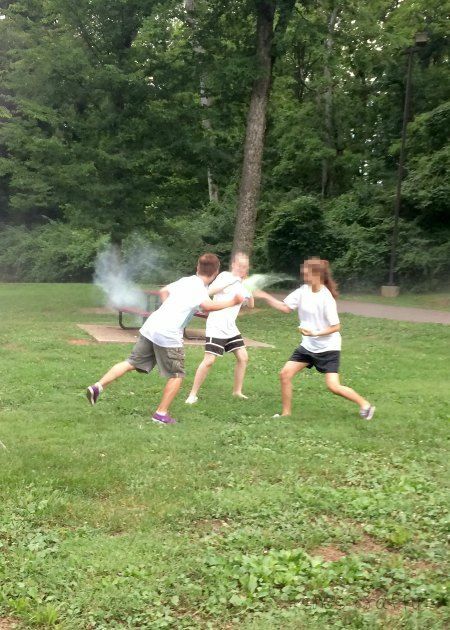 A few of the kids got hit in the eye with powder. So I would recommend everyone wear sunglasses or goggles. And maybe even have some water handy to rinse the face. We all had a lot of fun and would do it again!! Maybe we do that at our girls Camp! Does the color get out of the t shirts or do they need old ones. Hi Kirsten. The color did come out of the shirts. We were kinda bummed that it did because we wanted them to stay colored. 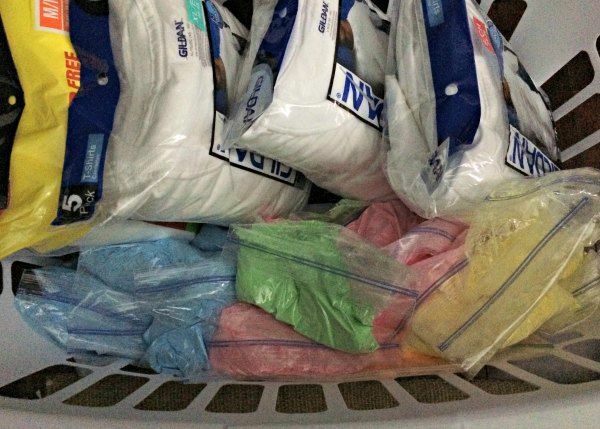 Anyone doing a color fight would probably want to wear old clothes just in case though. Hope your color fight goes well and you have a lovely time at Girls Camp!